Experts claim a mystery pollutant which turned a North East river white and frothy did not have any impact on the environment. The Environment Agency and Northumbrian Water worked together yesterday to remove a white substance from the River Ouseburn which had been dumped overnight. 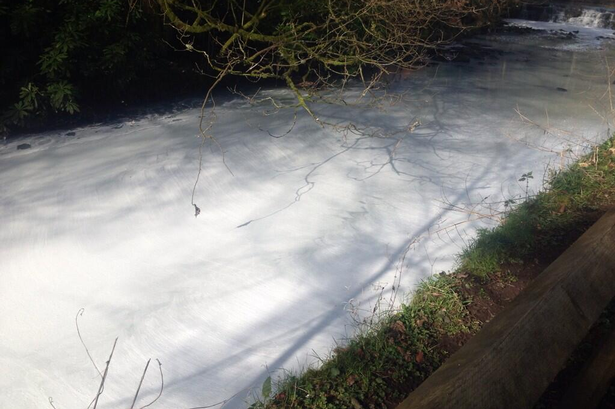 The pollutant, which turned the river running through Jesmond Dene in Newcastle shades of white and green, had been removed yesterday. It is believed the polluant came from a residential drain serving the area of Hepple Way in Gosforth and Northumbrian Water workers used a vacuum tank to remove it from the sewer. However, the person who dumped the substance remains a mystery and a spokesman from the Environment Agency said it can be difficult to trace anyone who dumps pollutants unless someone who saw something comes forward. He urged anyone with information to contact the Environment Agency. A spokesman for the agency said: “The material that was sitting in the sewer has now been removed, and we expect the discharge to have stopped or be significantly reduced now. “Ecology surveys and monitoring we have carried out have revealed there to be no environmental impact. Invertebrates and oxygen levels are good. It would appear to be a visual impact only. On Thursday dog walkers kept their pets on a tight leash as the water pollution caused an eyesore in the Dene. Briohny Williams, of Gosforth, was walking her dogs Rupert, a cockapoo, and Bettsy, a cocker spaniel. “It was disgusting,” she said. 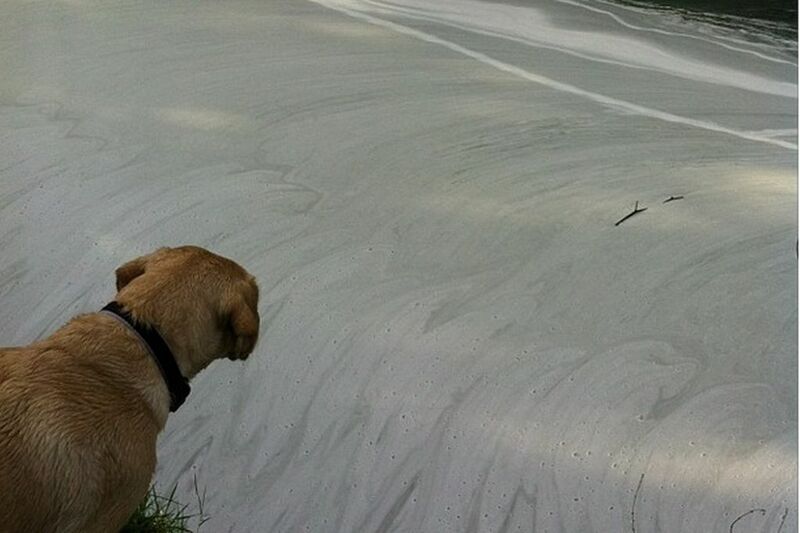 “A 100 metre stretch of the river was really discoloured. It stayed like that the entire time I was there. “Bettsy was off her lead and I had to call her back because she was about to jump in for a swim. “Other people were stopping their dogs going in too. There was no smell but it looked really bad. Chris Usher put his pet dog Georgie on her lead as soon as he noticed the water. “It’s the first time I’ve been here in a long time, when I came down I thought, oh blimey, it is certainly discoloured,” said the 46-year-old, from Gosforth in Newcastle. “Georgie loves the water, that’s why I normally go to the beach, so I am keeping her on the lead,” he added. Gerry and Susan Jones were also visiting the Dene on Thursday from North Durham with their dog Dave for the first time and were shocked by the condition of the water. “We have never been here before, our car is being repaired nearby so we have just come to walk the dog,” said Gerry. Anyone with information is urged to contact the Environment Agency incident hotline on 0800 807060.